Acme Murals produces wallscapes and large scale hand-painted murals for advertising campaigns, public art projects, fine art, commercial signage, storefronts, interiors, and more. Our crew is made up of many of the best artists in the industry and we are committed to delivering the highest quality work. 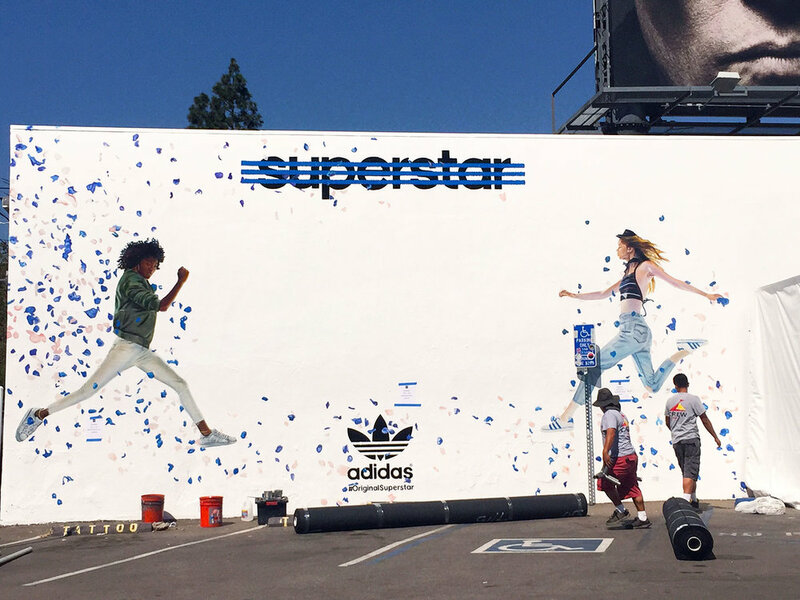 ACME was tapped by HVW8 Gallery to do a last minute mural for an Adidas pop-up art show under the art direction of Kamp Grizzly. The mural was made both as a work of art and a frame for a video projection. Check out the time lapse video here below. 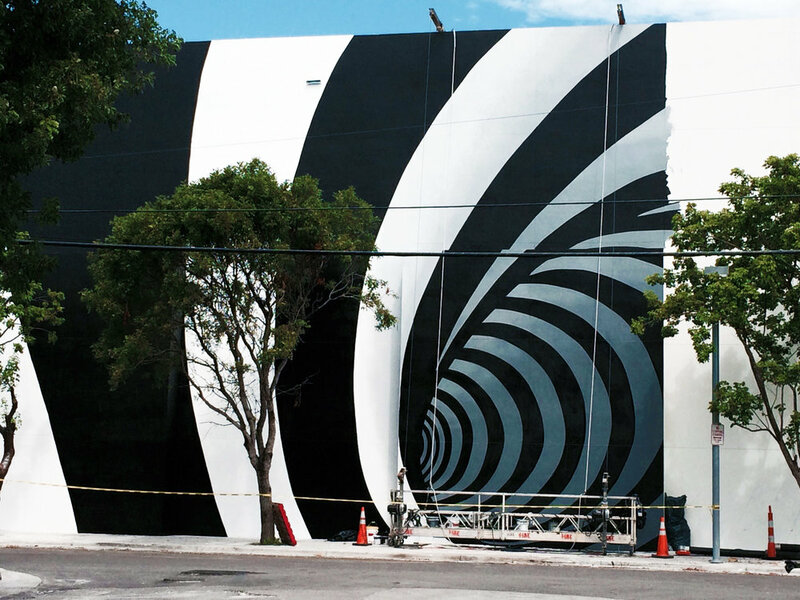 ACME was contracted by the design consultancy, 2 x 4, to paint enormous murals, transforming otherwise bare walls into a “Jungle” and "Vortex" for Dacra at the new Miami Design District mall in Miami, FL. We used over 100 gallons of paint and covered an amazing 20,000 plus feet for the entire project.